Dog in action at the Pals and Paws practice field. Pals & Paws offers one of the best agility practice fields in Florida. Our field is located off Morse Avenue in Jacksonville, FL. Secured with a chain link fence and locked gate. Members receive directions on how to access the field after paying their yearly dues. Our annual dues include unlimited access to the field. Any member can practice 24 hours a day on the field. 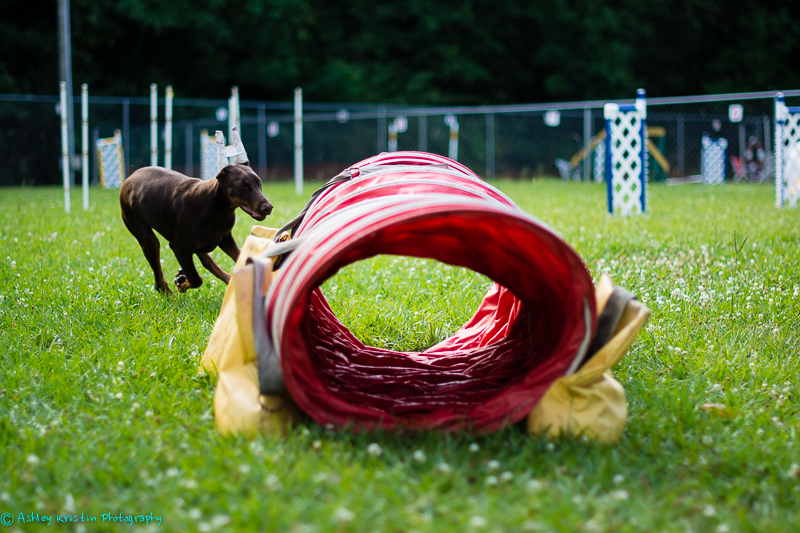 We offer two agility rings – one for classes and one for practice. So our members always have unlimited access to a practice field. Safety First: Do not allow your dogs on the equipment unless you are taking or have taken agility classes and know the safe way to train your dog. Pals & Paws, Inc. is not responsible for injuries incurred from use or misuse of the equipment. Only one dog off leash in a ring at a time. Other dogs must be under restraint and supervision of owner (i.e. leash, crate, x-pen, owner’s arms, etc.) If a dog is tied out, it must be at least 10 feet from the agility rings. If a dog is left in a vehicle, it must not be able to leave the vehicle. All dogs on premises must be current on vaccinations, as recommended by their veterinarian. If more than one person is present, practice no more than 10 minutes per person and take turns. Dogs should not eliminate in the agility ring or on the equipment. Clean any equipment that is soiled. Plastic bags and vinegar/water to “unmark” the spot are provided. Discard trash and dog waste in the trash can. This applies to anywhere on the JDFA premises, whether inside or outside of the fenced area. Disposal bags are available on the fence. Drive and Park Drive on the access road only and park in the designated parking areas. Do not park within 50 feet of the pavilions. No overnight parking or camping other than permitted R.V.s at a show or match. To create a more healthy environment, please refrain from smoking or drinking alcoholic beverages in or near the agility field. No open fires permitted on the premises at any time. No sustained loud noise after 10:00 PM. 1. Tuck the chute in the barrel. 2. All contact equipment should be left in a usable condition in a minimum of 10 feet away from the fence line. 4. Turn off water faucet if turned on, and empty swim pool. 5. Make sure trash is disposed of properly. 6. Lock all gates to practice field. 7. VERY IMPORTANT: Lock JDFA entrance gate. Any violations of the club’s policies should be reported to the Board of Directors. Members: Unlimited use of field included in $45 annual membership fee. Non-members: Club members may bring the same guest twice in one year at no cost, but after that, the guest will be required to join the club if they would like to continue to use the field for practice.